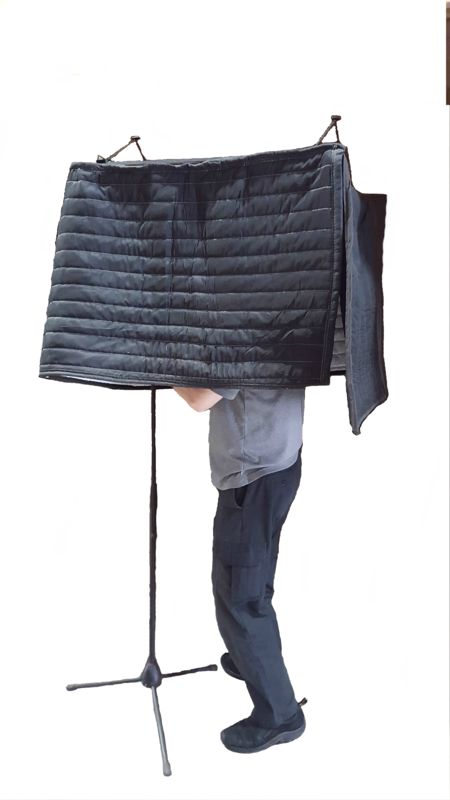 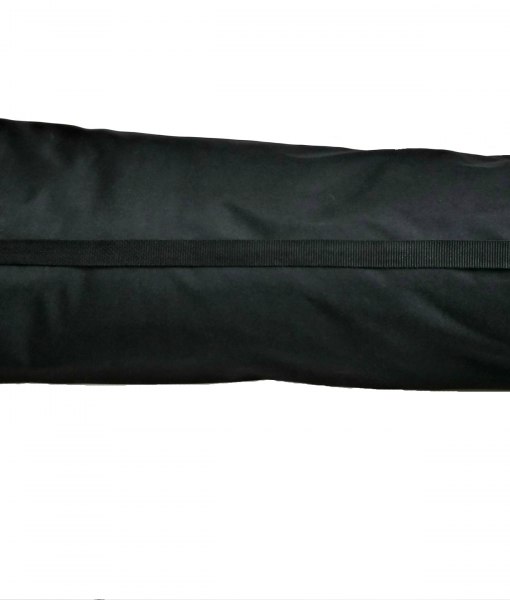 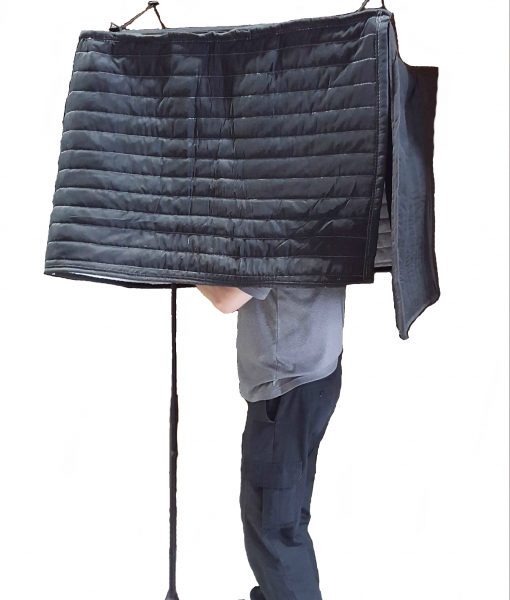 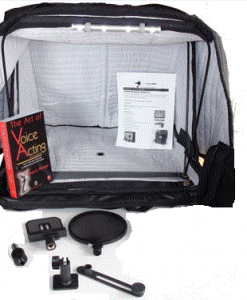 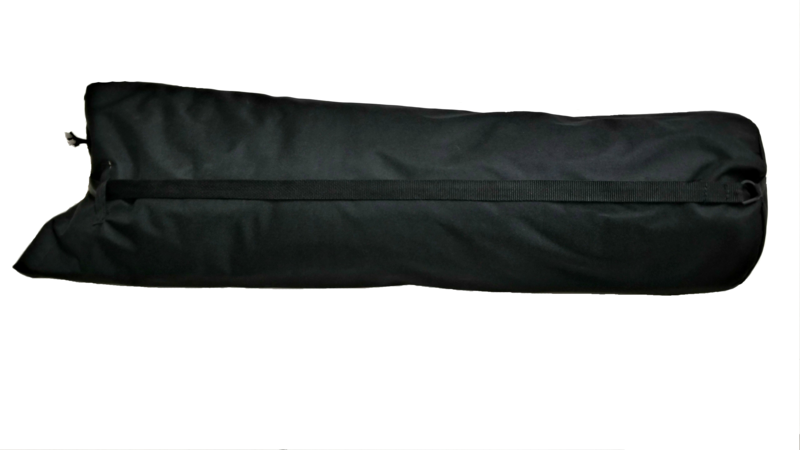 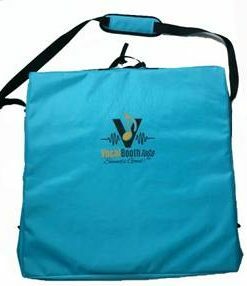 This portable hanging acoustic booth is ready when you are, wherever you are!! 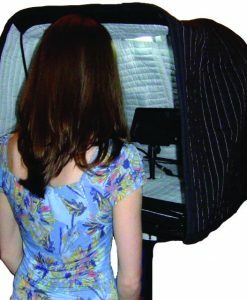 With it’s included carry bag, this booth can go with you and sets up in minutes anywhere you have a closet or ceiling support. 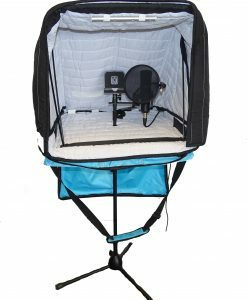 It installs with a few normal hangers in a closet, then set up your mic stand and you are ready to record! 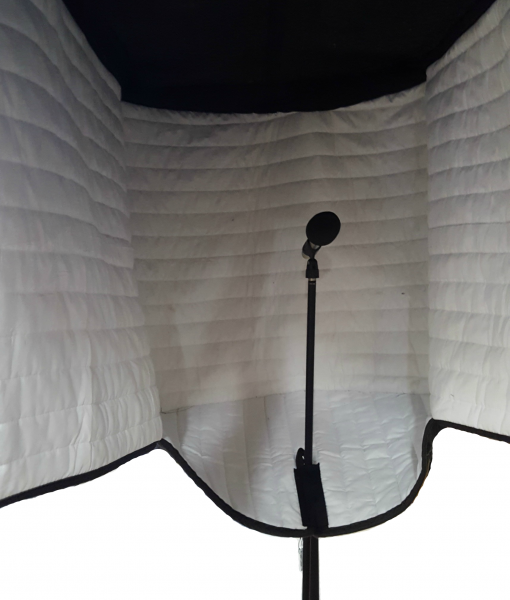 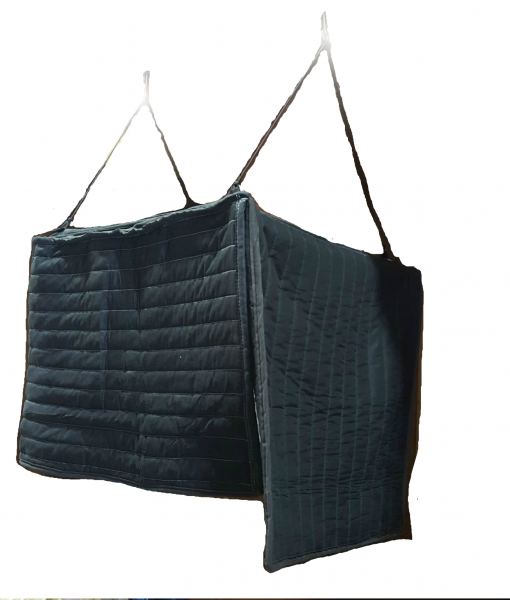 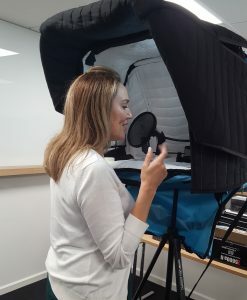 The booth is made from our Producers Choice Blankets and features a black outside and white interior to help with light and to keep it from feeling closed in. 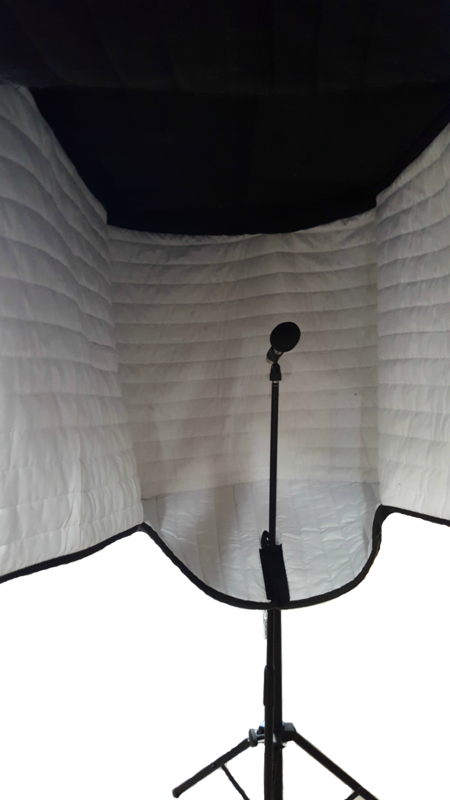 This booth will take out the reverb, reflections and back slap from the room that you are in so you can get great recordings on the go.